The Tru-Vue plant in Rock Island, Illinois, where 40 to 50 people were employed in peak years making filmstrips, assembling viewers, and shipping orders. 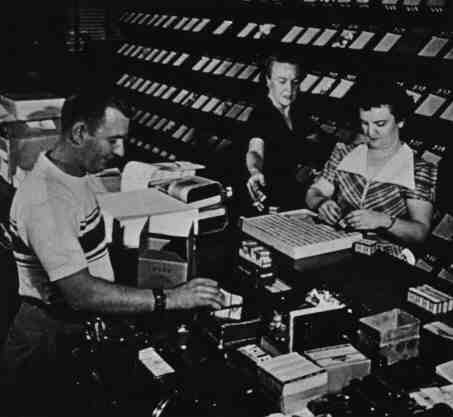 Tru-Vue shipping department in 1951. Stereo Graflex on the left was a Tru-Vue workhorse for many years. Heidoscopes like the one on the right were used along with Realists for Tru-Vue color originals. 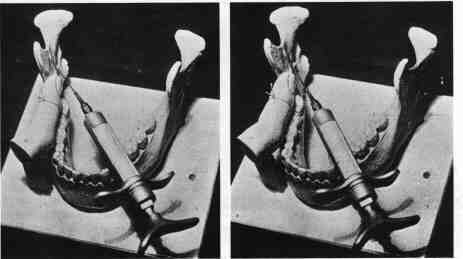 On the left are two models of viewers from the 1930s, with mid and late 1940s models on the right. 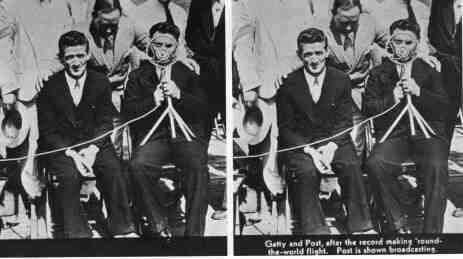 The very first viewers (1933-34) might have been made by the De Vry Company of Chicago. A Tru-Vue stereo projector was designed by the Mast Development Co. of Davenport, Iowa, who made most of Tru-Vue's molds and dies. A personal camera was also considered but both ideas were abandoned. „New“ Tru-Vue cards and viewers from Sawyer's plant in Beaverton, Oregon. Small viewer at left was made by GAF. 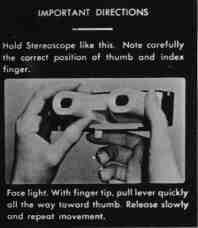 In 1936, a stereo film-strip company existed in New York called the Novelview Company. Their 35 mm films had no separation between frames and resemble (transposed) film out of a Realist format camera. 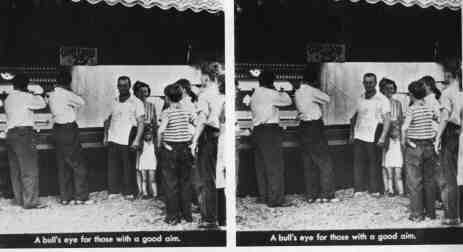 Their viewer was smaller than Tru-Vue's and had no advance lever as films were pulled through by hand. More solid information about the company's history would be helpful if anyone has more than a viewer or the 1936 dated films. Cover of Tru-Vue color film list, June, 1950. Like many stereo enthusiasts, I had long assumed that by the 1920s, the declining popularity of traditional stereoscope views had left only steadily shrinking commercial production and development of stereo until the rise to prominence of the View-Master in the '40s. My assumption was quickly and happily shattered when I found a box of Tru-Vue stereo filmstrips and viewers at a basement sale a couple of years ago. Having noticed that their dates spanned the early '30s to '40s, I found myself acting like a slapstick comedy paleontologist - ecstatic over the discovery of a „missing link“. The Tru-Vue Company itself was founded in 1931-32 as a subsidiary of the Rock Island Bridge and Iron Works in Rock Island, Illinois. 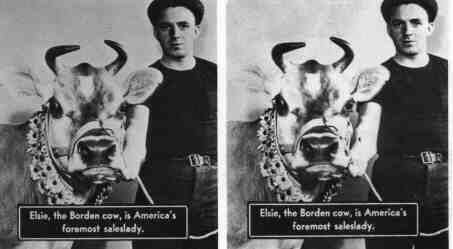 By the summer of 1933, in time for the nearby Chicago „Century of Progress Exposition“, the new company was producing and marketing stereo filmstrips and viewers. 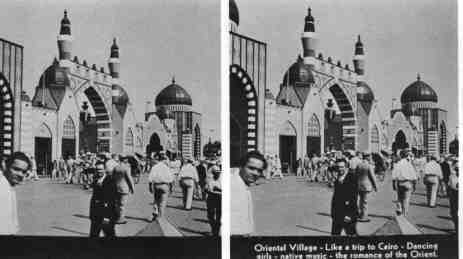 Over the following two decades, Tru-Vue grew into a major source of stereo views documenting cities, parks, expositions, industries, entertainments, and people of the 1930s and '40s. 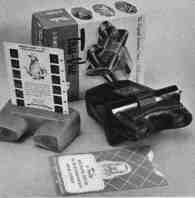 The use of 35 mm film in stereography was well established by the time Tru-Vue developed their horizontal-advance viewers and filmstrips. 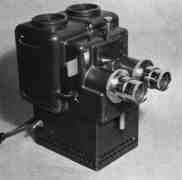 As early as 1913 , the Homeos stereo had been among the first 35 mm still cameras ever commercially produced. 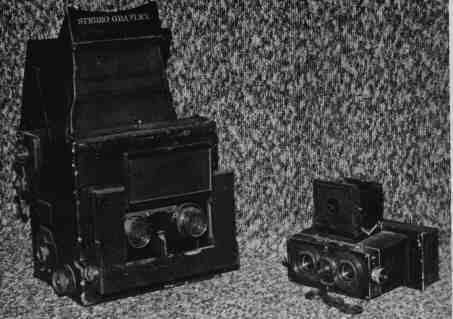 Others followed, and a split/frame stereo attachment was even available for the new Leicas of the late 1920s. 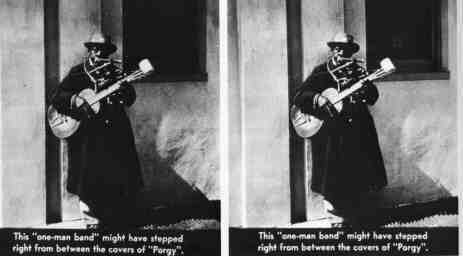 A viewer existed for contact-printed film positives from Homeos negatives, but „lantern slide“ , size transparencies remained the popular alternative to card-mounted paper prints. Exactly who first printed stereo positives on 35 mm filmstrips (and when) is hard to pin down. But Tru-Vue was able to re-inspire enough public interest in stereo views with this new, „modern“ format to become the first stereo filmstrip to achieve commercial success and mass distribution. While the viewers used 35 mm film, Tru-Vue itself still relied on the 5 x 7 Stereo Graflex for most of the original b&w negatives. To create a filmstrip, prints (about 4 x 5") were made from each half of the large negatives. Precisely mounted and aligned by pin-register, the prints were copied one at a time on 35 mm film in a sequence to match that of the final filmstrip. Spliced into a loop, the 35 mm negatives were used to contact print the final product on a Kodak positive-print safety film with a copper/gold base color that helped mellow the often harsh, cold tones of b&w transparencies. The filmstrips resist scratches and smudges fairly well considering how they are handled, loaded, and rewound through the viewers. Each film was sold in its own numbered, labeled box and compressed into a tight roll by a small film-holder sleeve. (Up to 47 years of such packaging has given Tru-Vue films the unique stereo capability of flying across the room with a loud snap if unrolled for inspection with too loose a grip. The experience doesn't seem to harm the films any but there is no such assurance for innocent bystanders. Despite the use of special copying emulsions, the 4th generation images on Tru-Vue films sometimes built up to very high contrast. 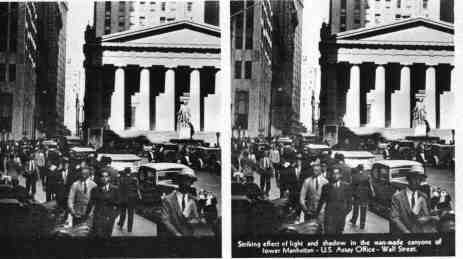 Whether due to photo-mechanical or human laxity, some films also show variations in overall image sharpness despite reduction from larger originals. Occasional outrageous violations of the stereo window also occur in films made before the late 1940s. (The recessed captions often compound this effect.) Consumers of the day must not have been offended enough to complain - many old er view companies having hardly set a good example in this regard. 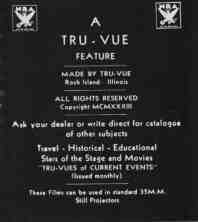 Tru-Vue had few full-time stereographers and relied on a number of freelancers to bring or send in views for use in filmstrips. Among these were members of the Stereoscopic Society who made many British and European views. Several of the Stereo Graflex cameras were actually kept on hand to be loaned to people with ideas for subjects and some proven degree of stereographic interest and skill (and honesty, one assumes). Some films include the stereographer's name in the title frame. Among the most frequently seen are James Sawders (views of several eastern and southern states), W.M. Wood (Rocky Mountain views), Gabriel Moulin (San Francisco area), George Brookwell (Hollywood and Southern California), H.V. Wray, A.W. Luce, Alexis McKinney, Theo. M. Jacobs, Elliot Fisher, T.J. Hileman, and Ralph Vincent. 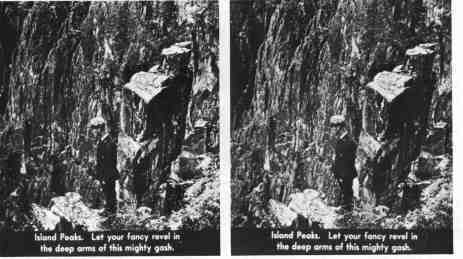 In general, the subjects chosen for Tru-Vue films were similar to those favored by producers of old-style stereoscope views. They include many of the major cities and expositions of North America and Europe, National parks, picturesque villages, big construction projects, zoos, children's stories, famous personalities, etc. But an important new influence on Tru-Vue's coverage was the fact that at least 14 different views were necessary for each subject. In addition, two or more films were often devoted to popular subjects in the confidence that many people would buy „complete sets“ to avoid missing anything. The resulting tendency to under-edit material sometimes surprised even contributing stereographers and led to the inclusion of similar, repetitive views within some films. This might have annoyed some customers at the time but it gives today's stereo enthusiasts and historians just that much more to choose from. The more interesting films have an eclectic, inclusive, even sloppy informality in the selection of views that has left many fascinating stereos of the people, machines, and society of the 1930s and 1940s. Even if only by accident, Tru-Vue films often go beyond the inclination toward romantic landscapes of earlier view cards or the chamber of commerce scenics of later View-Master reels. A rare feature among mass-produced products, Tru-Vue films are dated at the end of each strip. Unfortunately, these indicate only the production dates of individual release prints and not of the original views or filmstrips. As most films were reissued at least once, many identical films can be found with different dates. Late in the 1930s, Tru-Vue patented a new system of perforations on the bottom edge of the films, replacing the standard 35 mm sprocket holes. The new holes were spaced 42 mm apart and enabled the viewer lever to position the pairs properly from the first pull. Films dated as early as 1938 can be found with the new perforations but a few later dates appear on what was probably remaining stock of standard 35 mm film. Tru-Vue's film boxes went through several changes, the older styles being simple red and white or blue and white, and including the „Pictures With Depth“ slogan across the top. After about the early 1940s, boxes were printed with red and silver or red and white stripes without the slogan. The number of titles available at any one time was probably seldom more than the „400 films“mentioned on the film-holder sleeves. But new films were always being made while old ones were being discontinued so any exact total is hard to estimate. 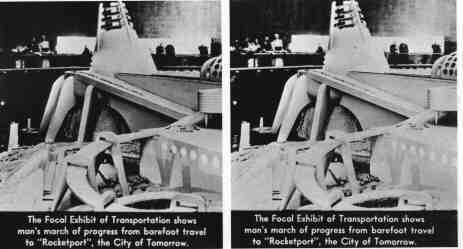 By 1949, sales had reached about 1 ½ million filmstrips a year, according to the Rock Island Argus Newspaper. Anything near that figure becomes even more impressive when multiplied by the 14 views per film. To this „grand total“ would have to be added the hundreds of promotional and instructional films Tru-Vue made to-order for industrial and educational uses. Non-numbered and seldom reissued, the dates on these special limited editions are fairly accurate, while the production total for any particular subject could range from a few dozen to several hundred. Many contain little more than dull and repetitious shots of industrial products like the one made for Howard Hughes' Hughes Tool Co. of Houston, Texas that brings you face to face with a long series of well drilling bits. A Wyoming Hereford ranch sent Tru-Vue „portraits“ of their best breeding stock to potential customers around the world, leaving a 3D Home-On-The-Range mug book for posterity. 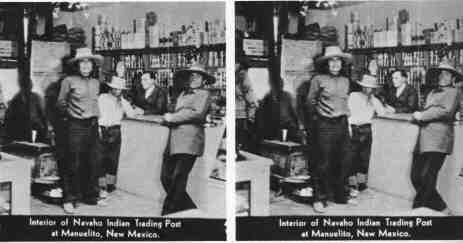 Some films used dramatic 3D headlines and overflowing bags of cash to exhort dealers to greater sales of everything from beer to radios to popsicles. 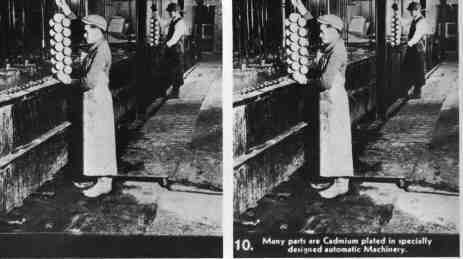 The best of the promotional films include „factory tours“ with fascinating stereo views of some industrial processes and workers of the 1930s and 1940s. A few, like one mattress company, used young women in various stages of undress to „demonstrate“ the product. These no doubt passed through a good number of hands at sales conventions. With any luck, many of these industrial films could still exist in the corporate shoeboxes (or attics of long-gone employees) of companies like Beech-Nut, White Truck, Esso Oil, Elgin Watches, G.M., Agfa, Bordens, Ford, etc. Tru-Vue products were sold by mail directly to retail customers or to anyone wishing to order in quantity and become a Tru-Vue retailer themselves - door to door or over a counter. This open sales policy probably helped supplement many incomes through the depression years. Little if any effort was made to push foreign sales in the 1930s, but by the late 1940s Tru-Vue was shipping films and viewers to India, South America, Arabia, Canada, Puerto Rico, Cuba, and the Philippines. 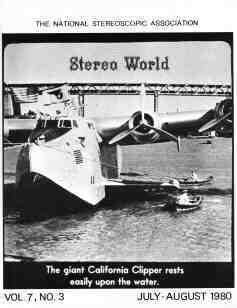 In 1938 Sawyer's Inc. introduced the View-Master stereoscope and its convenient, full-color stereo reels. Competition with Tru-Vue, however was slow to develop until after WW II. Since Tru-Vue successfully marketed their b&w filmstrips for another 12 years, there seems to have been ample room and business for both companies for some time. 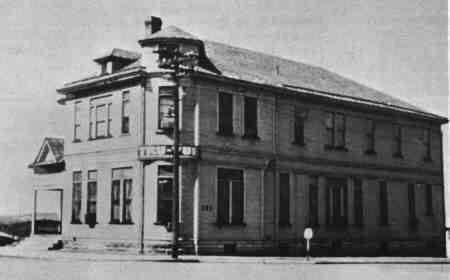 Tru-Vue's own move to color had been under serious consideration since at least 1940. The war years intervened, and it was 1950 before Tru-Vue finally introduced their „Stereochromes“ line of color filmstrips. The new films had 9 views, new round perforations along the bottom, and sold for 50 cents each in bright red, blue, and yellow boxes. The decision seems to have been a protracted one, as many of the color subjects had already been released in b&w versions. Ansco color transparency film was chosen because it could be economically processed at the Tru-Vue plant. Another factor was that only the Ansco film produced colors satisfactorily matching those of next year's Ford models for an important 1949 promotional filmstrip. 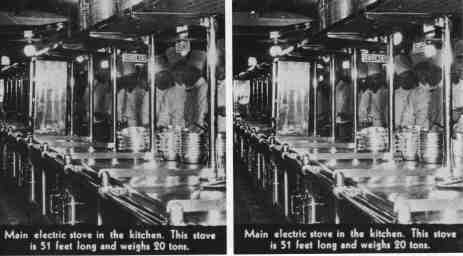 Overall quality had improved by then and good stereo technique combined with rich, well-balanced colors to more than match most other commercial stereo views. Of course most of the „Stereochromes“ have long since faded into a pink and beige oblivion, but a rare few have held their colors well enough to merit copying on Kodachrome or Cibachrome. The strong, pure colors of the cartoons seem to have survived better than many scenics. Among these are Mickey Mouse, Donald Duck, and Alice In Wonderland stereo cartoons produced under an exclusive Tru-Vue contract with the Disney Studios. By 1949-50 the competition from View-Master had become real enough for Tru-Vue ad copy to emphasize the larger size and number of views on their films (which even Tru-Vue's own lists were now sometimes calling „reels“). In 1950 the prices of b&w films were dropped from 35¢ to 25¢ each and new b&w releases were cut from 14 to 10 views. It was by then probably becoming evident to all concerned that View-Master had a more economical and efficient format, a more dynamic promotion/marketing system, and simply a more growing company. In order to get in on the Disney Cartoon contract and perhaps (as has been suggested) to keep the Tru-Vue format with its impressive color potential out of bigger corporate hands, Sawyer's purchased Tru-Vue and all its physical assets in 1951. 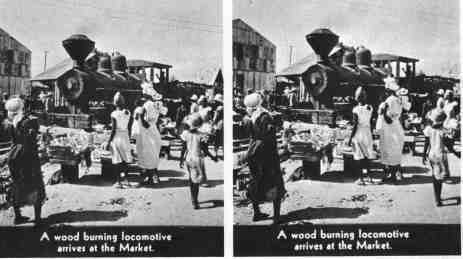 With the water from that year's Mississippi flood threatening to undermine the tracks, Tru-Vue's films, records, and production equipment were loaded hurriedly into freight cars and shipped to the Sawyer's plant in Progress, Oregon, a suburb of Beaverton (a suburb of Portland). Some production of Tru-Vue color filmstrips continued for about another year while Sawyer's management considered ways to redesign Tru-Vue to match the film-use efficiency and convenience of View-Master reels. With the help of Clarence Romrell, who had been in charge of Tru-Vue's lab and color program in Rock Island, a viewer and 7-view rectangular cards were developed as the „new“ Tru-Vue. The views were on Kodak's then-new „Eastmancolor“ negative-to-positive slide print film. Tru-Vue, in fact, used part of the first Hollywood-bound sample of the new material to test for stereo-card use. Kodak was later persuaded to supply the new 35 mm print-film with 16 mm perforations. This allowed vertical, side-by-side printing of 13 x l4 mm views (larger than View-Master's) which included the traditional Tru-Vue captions in the bottom of each frame. From the beginning, Sawyer's assigned Tru-Vue the children's story market and sold them in toy stores while View-Master products were sold in photo departments and souvenir shops. Tru-Vue cards featured subjects like Robin Hood, Disney characters, Buck Rogers, and a limited selection of scenics. GAF later purchased Sawyer's and eventually dropped the Tru-Vue line as they continued to move View-Master itself into the cartoon and television-personality market and toy store shelves. Ironically, a French company making cards very similar to Tru-Vue's has survived since the 1950s. Their products have recently become available through the Milwaukee Stereo Exchange, Box 11686, Milwaukee, WI 53211. This article was published in the July-August 1980 issue (Vol. 7, No. 3) of Stereo World magazine. Reprinted with kind permission of the Author and Editor of Stereo World, John Dennis. Copyright © 1980 by John Dennis and the National Stereoscopic Association (NSA).